The Museum of Jewish Heritage welcomes all visitors. We strive to ensure that our exhibitions, programs, and facilities are accessible to everyone. If you have a question about any of the Access Services listed here, please contact Visitor Services. All museum spaces are wheelchair accessible. 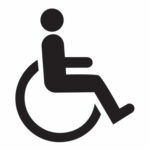 We are able to provide wheelchairs on a first-come, first-served basis; please go to our Ann & Abe Oster Welcome Desk for assistance. Wheelchair-accessible restrooms are located on all floors of the Museum. 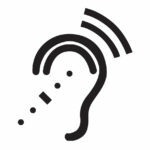 Assisted Listening Devices are available for visitors who are on tours—making it possible to hear the guide even in a crowded gallery and in the Museum’s theater, Edmond J. Safra Hall. For Auschwitz. Not long ago. Not far away., an audio guide is available in English, Spanish, French, Hebrew, Mandarin, German, Polish, or Russian. It is included with the price of admission and will greatly enhance your exhibition experience. Visitors may use their own earbuds/headphones or purchase disposable headphones for $2. Videos in the exhibitions are open-captioned. With advance notice, the Museum can accommodate groups’ requests, including arranging tours for visitors with developmental or other disabilities. Multiple avenues are made possible for people to visit MJH Highlights: free admission hours on Wednesday and Thursday from 4 PM – 8 PM; admission passes available through NYC Culture Pass, a program for Manhattan, Brooklyn, and Queens Public Library cardholders; Cool Culture Pass, which provides historically marginalized families and their young children with free admission; complimentary admission on commemoration days and periods throughout the year; and free admission for families during various school breaks. In addition, the majority of the Museum’s public programs are free of charge. For more information, please contact outreach@mjhnyc.org or 646.437.4299.